As I look ahead to the first day of school, and my 28th year in education, I am particularly excited about a new program we have initiated with our younger students this year called “Habits of Mind.” This program is designed to nurture a wide range of habits in and out of the classroom which set kids up for success later in life both as students and as people. Persisting — Persevering in a task through to completion; remaining focused. Looking for ways to reach your goal when stuck. Not giving up. Taking responsible risks — Being adventuresome; living on the edge of one’s competence. Try new things constantly. Applying past knowledge to new situations — Accessing prior knowledge; transferring knowledge beyond the situation in which it was learned. I can think of countless times over the years when I have struggled to develop habits such as these in my life and in my running and yet I have found that when these things become habitual, when they become part of my daily life and routine, they become more easy to execute and ultimately become a part of not just what I do but who I am. And so it was in thinking about this new program that I recalled a book I read back in 2014, The Power of Habit: Why We Do What We Do in Life and Business by Charles Duhigg. Duhigg, a well-known New York Times business writer, explores in his book some of the scientific research about habitual behaviors and what that research reveals about how some habits can be nurtured and others can be changed. Fundamental to his work is the notion that there is a simple neurological loop at the core of every habit. As Duhigg asserts, all habits consist of three parts; a routine, a reward, and a cue. This loop he dubs “The Habit Loop.” In general, research suggests that there is always a certain routine around a habit, a set of rewards that satisfy a certain craving that the behavior is trying to fulfill, and then a cue that triggers the behavior in the first place. This is the case with both good habits and bad habits; they don’t discriminate. What then, does all this have to do with long-distance running? Well, from my perspective, I have noticed that when I am in a routine, when I have established a pattern and a rhythm to my behavior, I tend to stick with whatever that behavior is provided I have the time and the energy to execute the routine. (And if it’s important enough, I’ll always make the time.) So, if my routine is to run a daily run at 6 a.m. before work, I do it. Then, the reward tends to logically follow. The daily routine makes me feel good, feeling good makes me more productive in the rest of my life, being more productive in the rest of my life has a positive impact on those around me and that, in turn, is the cue that gets me out the door the next morning. As such, I develop a habit loop that is at once intrinsically satisfying and extrinsically affirming. And that, is reason number several thousand why long-distance running is a good thing! 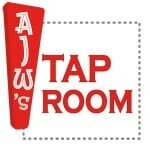 This week’s Beer of the Week comes from Back East Brewing Company in Bloomfield, Connecticut. While the market has recently been flooded with New England IPAs, some of them stand out. 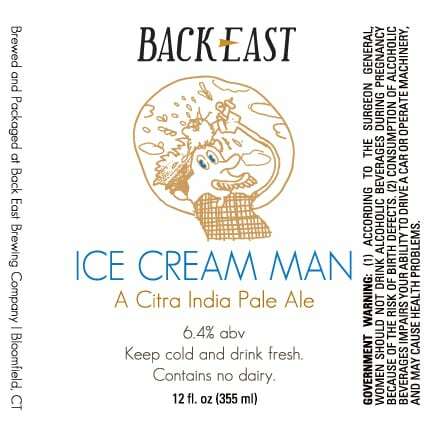 And Back East’s Ice Cream Man IPA is certainly one of them. Fruity but not sweet, bitter but not biting, resiny but not cloying, Ice Cream Man is as good as it is because of what it isn’t as much as because of what it is. And, that makes it a very good beer indeed! How reliant are you on habits in your day-to-day life? What habits are they? How about in running? What part of your running hobby is hinged on habitual behavior? If you were to create a new habit in your life or running, what would it be and why? How would you use it to grow? Great pre-morning run read, that focused my thoughts out on my run. School starts here in Vermont in just under three weeks and we’ve been organizing the curriculum for our classroom. We run an alternative classroom that helps middle school kids find success in school and change the momentum of their school career. My teaching partner and I have created numerous specific routines in the classroom, hallways and the school in general that helped our students know what to do when in the school environment. Any chance you have an outline of the curriculum to share? We are always looking for new ideas to incorporate in our classroom. I ran daily in July and then broke the habit in August and that change has negatively impacted other habits (diet, rest, etc.) in my life. I found your post on the right day. Today begins a new run streak and a new set of habits to reign in some chaos. As the mother of a 13-yr old, I loved this. Found the Habits of Mind online site and intend to explore it and possibly introduce it to his middle school admin/teachers. I also practice GTD and there is a new book out called GTD for Teens, that we are starting on. GTD is a fantastic “life mastery” habit/process/way of thinking, about how to engage with your world, discover your priorities and purpose, manage your attention, figure out where you want to direct your focus. It’s not about a to-do list, but rather, a way to get things off your mind so you can do what’s important to you and also what needs to be done. Life is changing so quickly, for us and our children. School needs to shift to being about teaching kids how to decide what their work is and how to think, and I love to see you doing this. Good luck!